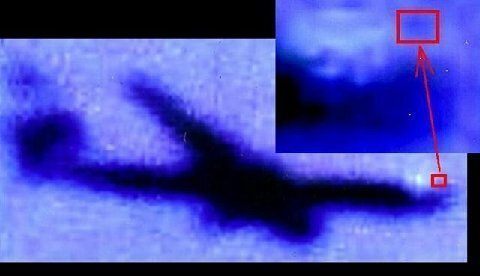 "FLIGHT 175 MOMENTS BEFORE CRASHING INTO THE WTC TOWER"
Ever since that terrible day on September 11, 2001 many questions have been raised like: Who, what and why? 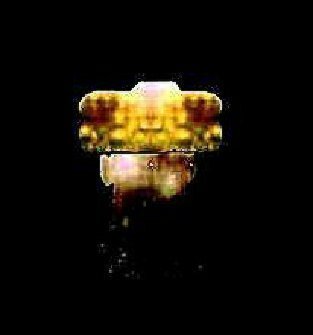 Unfortunately, because of our limited technology, we have never been able to look inside the cockpit of flight 175 to obtain a better idea of what was happening just before the plane crashed into the WTC tower, until now! Thanks to a new invention called PPP (Penetrating Photographic Process), we now have an opportunity to actually see inside the cockpit of flight 175 just seconds before it smashed into the tower. According to the official reports, United Airlines Flight 175 was a scheduled U.S. domestic passenger flight from Logan International Airport in Boston, Massachusetts to Los Angeles International Airport. 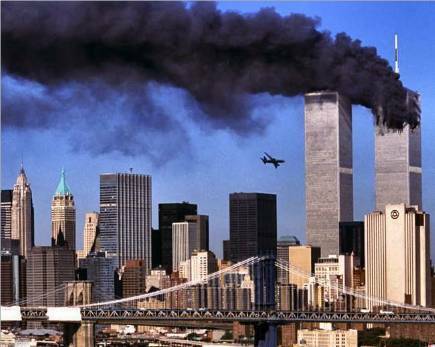 The flight was (allegedly) hijacked by five al-Qaeda-associated Islamist terrorists, and flown into the South Tower of the World Trade Center in New York City as part of the September 11 attacks. Over thirty minutes into the flight, the hijackers forcefully breached the cockpit and overpowered the pilot and first officer. The aircraft crashed into the South Tower of the World Trade Center at 09:03, killing all 65 people aboard, including the hijackers. There has been much speculation on how a group of terrorists with very limited flying experience could carry out such an attack and it has even been suggested that the plane was actually flown by remote control. However, the images you are about to see may dispel that theory and show that there were people in the cockpit, and the plane was in the control of a pilot. 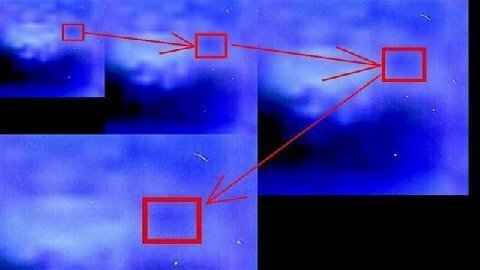 Even though we have our own opinions on what took place during the flight (based on the images), we have chosen not to speculate on this area because of the sensitive nature of this subject. It is not our wish to add to the distress of the families and friends of those who lost their lives on flight 175, but simply present the images that have been obtained, in the hope that it will help make one part of the 9/11 attack a little clearer. We would like to apologize in advance if you find any of the images disturbing, but felt it was our duty to present these as seen and let you form your own opinions. Sadly, because of a number of factors (glare from the Sun, the flames from the first tower that was hit and the poor resolution of the original photograph), the quality of the images are not as we would have liked. However, to be able to obtain any images at all is a remarkable achievement and an amazing demonstration of the power of PPP. Obtaining these images from such a photo is extremely time consuming (and very expensive) and I would personally like to thank the inventor for the incredible effort he has put into this. Apart from the time required achieving each enlargement stage, many hours were spent searching photos and videos looking for just one frame in which to use for this project. The following image provides our first glimpse inside the cockpit of flight 175. As you can see, it is difficult to make out too much detail at this stage and filters are used to make this clearer. 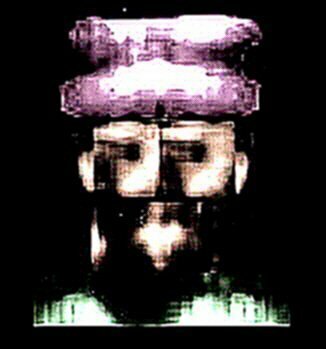 However, we can already see the image of one of the terrorists starting to appear. 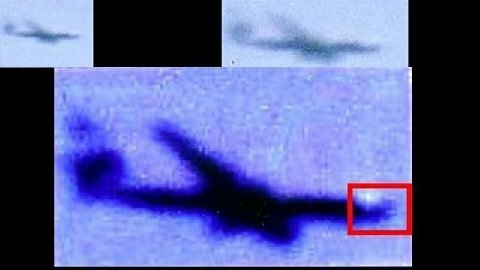 After further enlargements the image becomes even clearer and reveals what appears to be the Pilot, a terrorist and the Co-Pilot. The Pilot seems to be wearing a "hood" and is believed to be at the controls of flight 175. 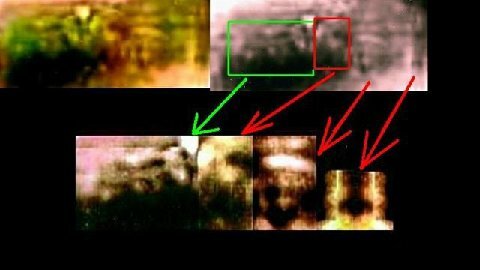 The image below was taken from the cockpit and shows what is believed to be three bodies on top of each other. Sadly, one of these is suspected of being the Co-Pilot (center face in the image). The next 4 faces are believed to be the Pilot and one of the terrorists. 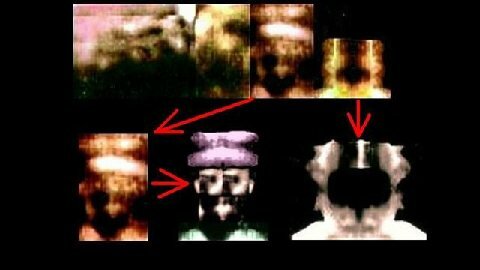 And a closer view of two of the terrorists who appeared to be dead before the plane crashed into the tower (as previously shown above). 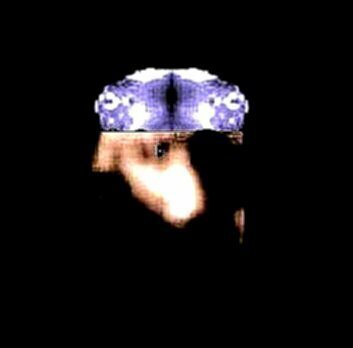 The final image, and without doubt the most disturbing, shows what might be the Co-Pilot. However, we must stress that it is difficult to be certain of this because of the quality of the original photograph (on which the results depend on). We have decided not to try and match the faces of the terrorists with the photos issued by the authorities for two reasons. Firstly the images displayed are not clear enough to do that conclusively and secondly, some of the terrorists that were shown in the published photographs are believed to be still alive, which questions the reliability of the information. Whilst many questions may still remain regarding the 9/11 attack, we hope that this information will resolve some of them. 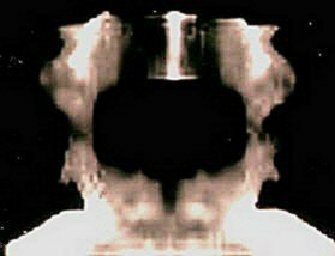 As always, you must judge for yourself the information we have presented and it is up to you to decide what actually happened on flight 175 just over 7 years ago. Unfortunately, because of the time and expense involved in producing these images, the inventor has stated that he will not be able to take on any further projects without some financial help (to cover the costs). However, we would be interested in knowing what other projects you would like to see explored and have created a poll where you can provide a response CLICK HERE. You can also send us an email with suggestions for future projects and give some indication of how much you might be able to donate should this be undertaken (Do not send any money at this moment in time). 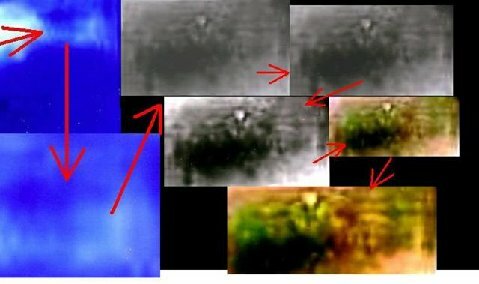 DISCLAIMER : PPP-Penetrating Photographic Process for the last two weeks has been under going a test of it's New Optical systems power on the cockpit of 9/11 Flight 175 seconds before the plane crashed into the second Twin Tower. PPP started out enlarging/enhancing objects in photo's on a number of different subjects to show its versatility. An Author for the American Chronicle (Ian Brockwell) asked for a test and would present the results to the public. 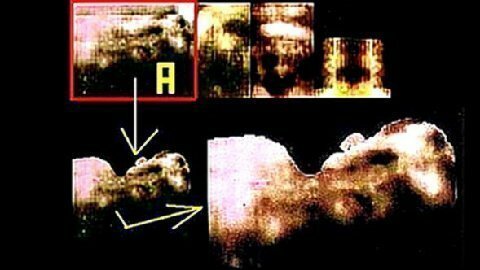 Ian Brockwell requested that the inventor enlarge/enhance (using PPP) a photo that was inconclusive by known current technology, and where success was not a likely option. 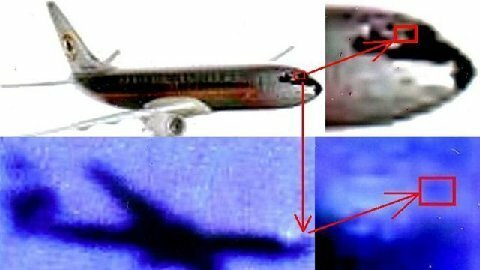 The subject matter and photo chosen by Ian Brockwell was to see if any cockpit occupants were visible and what else may be present and detectable in the left side jet cockpit window of 9/11 Flight 175. The images provided for this article were enhanced using PPP. The inventor of PPP due to a former promise to the author of this/these articles on this subject matter has only enlarged/enhanced an area of the cockpit for the author of this/these total of two possible articles that may be written by the author, to fulfill his past promise. 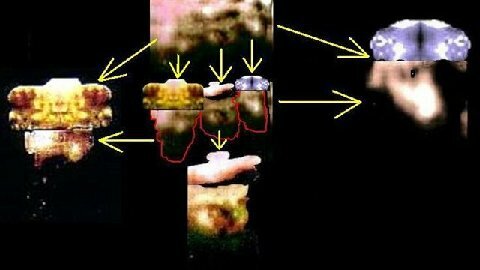 Therefore, the inventor of PPP may/may not share the same views on the content, subject matter, or opinions of the articles, or author of these articles, and upon requests from the author of this/these article(s)... has only enhanced the images using PPP of the possible cockpit of one of the jets maybe involved in the incident revolving around 911. Plus, in no way, form, shape, or manner, are these images intended or meant to personally offend anyone. The control of the content, and the image(s) of the possible cockpit produced for the author of these articles, ......and "how" the images are used and how it is published, and what is stated in the articles(s) are the sole responsibility of those authoring , and publishing these articles. Not sure what to buy that UFO, Space, Sci-Fi enthusiast for their Birthday or Christmas? We can offer Astronaut costumes (for adults and kids), Star Wars costumes (all ages), Party items, Star Trek replicas, Daleks and other Dr. Who products, Space projectors, NASA items, UFO and Space prints, Space Desktop gifts for executives, UFO books and DVDs, Space ties, Puzzles and Games and a lot more!